SHERMAN OAKS, Calif., October 5, 2018 – The second season of Netflix’s “Atypical” was released last month with valuable input from the autism community, both on and off screen. After partnering up with “Atypical“ to provide visual effects cleanup for season one, Exceptional Minds, a working studio staffed by VFX professionals and animators on the autism spectrum, contributed to season two with an animated sequence that helped add authenticity to the show about a teen on the spectrum. “There is a huge renaissance in animation right now, which is ironic because the autism population, often underemployed, is a growing population and many of these individuals seem to be especially good at it,” said Susan Zwerman, Exceptional Minds Studio executive director. There is a huge renaissance in animation right now, which is ironic because the autism population, often underemployed, is a growing population and many of these individuals seem to be especially good at it. Exceptional Minds Studio animators Mason Earwood, David Miles, Jacob Olson, Michael Shiu and Michael Yochim created an animated sequence that portrayed main character Sam’s (played by Keir Gilchrist) anxiety over starting a new school year. The animated sequence, shown on Netflix in the third episode “Little Dude and the Lion,” brings to life Sam’s notebook sketch of himself running from a stampede of gazelles and zebras before he finally takes cover near a tree. This narrative parallels his experiences as an overwhelmed high schooler on the spectrum, leaning up against his locker in isolation and fear as students rush the halls between classes. The animation made the transition from the opening of the show to the start of the episode, with Sam doodling in his notebook while sitting in the guidance counselor’s office. “As animation goes, it was a challenge to make the visual transition from opening with the outside of the notebook and ending the sequence inside the notebook,” said Howie Hoffman, the creative director for Exceptional Minds animation studio. The work showcased the artists' animation skills and involved “matching the look of the show’s opening and transitioning it to blend into the start of the episode,” explained Josh Dagg, Exceptional Minds instructor and visual effects supervisor. Exceptional Minds animators have gained a reputation for their precision work and creative talent, having also worked on animation projects for Sesame Workshop, Los Angeles Zoo, Special Olympics, Open Hearts Foundation, CBS TV and NPR composer BJ Leiderman. All of the artists are on the autism spectrum and graduates of the Exceptional Minds vocation school preparing young adults with autism for careers in animation and visual effects. In addition to working on projects such as Netflix’s “Atypical” for the studio, located in the same building as the school, Exceptional Minds graduates have gone on to internships and/or employment at Cartoon Network, Nickelodeon and Warner Bros. and to work on visual effects for major productions such as “Star Wars: The Last Jedi,” “Black Panther” and the popular television show “The Good Doctor,“ which also features a young man on the autism spectrum. This latest animation sequence builds on Exceptional Minds’ working relationship with Netflix's “Atypical” staff, starting with visual effects cleanup work and including a visit to the Exceptional Minds studio by creator Robia Rashid, autism consultant Michelle Dean, as well as the show’s six writers. More than 500,000 U.S. children impacted by autism will enter adulthood during this decade, with one in 59 children to follow. The vast majority of adults with autism are unemployed or underemployed, with young adults on the spectrum accounting for the lowest employment rate of any disabilities group. 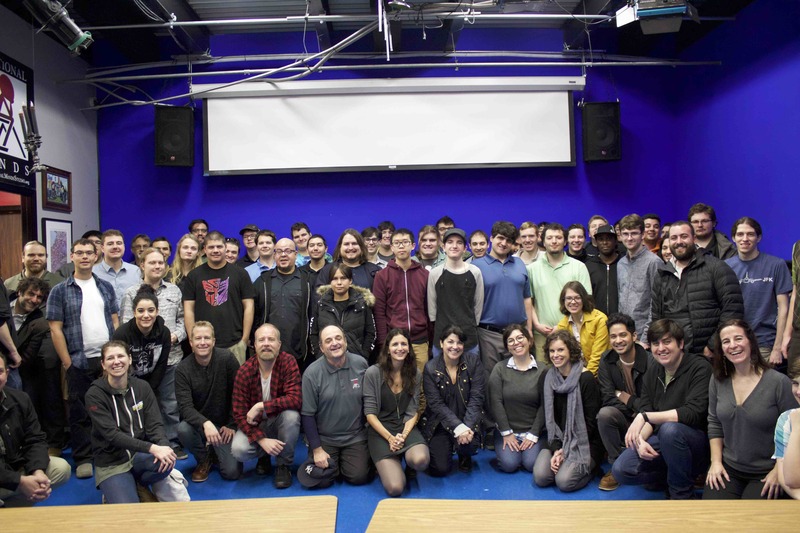 Exceptional Minds is the only working studio and vocation school for preparing young adults on the autism spectrum for meaningful careers in visual effects and animation.